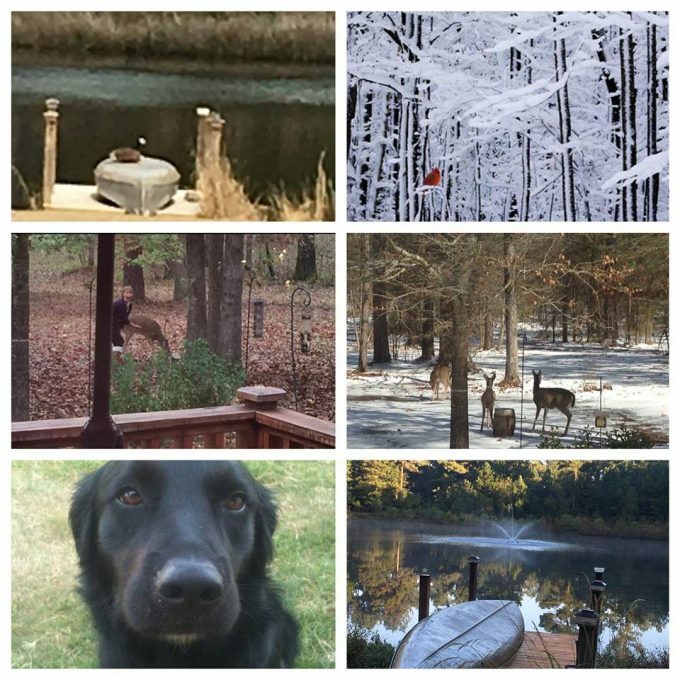 Sharing pics from over the years here at the ‘ol home place of enjoying the animals, God’s special creations. The goose will miss the canoe 🛶; the deer will miss me and Tony feeding them corn 🌽 throughout the year; “Morris,” the grand dog will miss swimming in the pond; the birds will miss my feeding them special suet and seed(although, Erin, the new owner has promised she will be feeding them : ) This weekend I hope you’ll enjoy God’s special creations, and feed them love and care. They add so much to the richness of our lives. Thank you, God!